First things first – electrical safety is something that can’t be reliably checked out by an amateur. As with gas, it is potentially lethal so specialist equipment and training is essential. Having all the earths professionally tested on a new purchase is the minimum you should do. 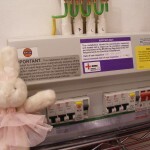 EVERYTHING that could become live should be earth-bonded (connected) back to the earth on the consumer-unit (fuse board). Earths tied to a stake in the ground is an old-fashioned way of doing it. This includes radiators, bath, sink and central heating system. A thick yellow-and-green striped earth cable should be visible attached to them. Electrical appliances such as the oven, shower, water tank, and fridge should also be earthed but by means of the supply cable. All cables should be chased beneath the plaster surface and set in a white plastic conduit (oval tube) to protect them and provide some slack, not surface-mounted which indicates very old wiring which will need expensive replacement. (Occasionally new add-on wiring is surface mounted in a plastic mini trunking and this is OK). The consumer unit should have trip-switches called residual current detectors (RCDs), not old-fashioned fuses. They should have RCD labels on them, and little flick switches to turn them on and off. Old fuses are usually large black Bakelite or pale grey ceramic, with a thin wire wound between the two terminals inside. This is designed to overheat and burn out if overloaded. RCDs are much quicker and more sensitive, therefore safer. Modern boxes usually have a pale grey plastic cover or more recently a metal cover and a set of switches labelled for each circuit (see photo). RCDs trip if there is an imbalance between the current flowing out through the live and back through the neutral wires, i.e. current is draining off elsewhere, for instance through an appliance to an earth. If there is a sudden loading on the circuit, or the earth becomes live, the switch immediately trips out and the power is cut. 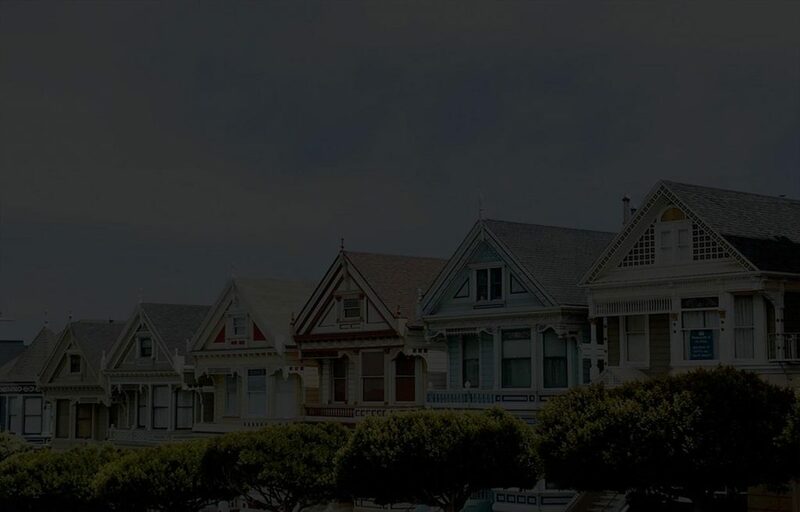 If your house has all these things, the wiring is less likely to be very old but it could still be quite old as RCDs were not mandated by law until 2001. There was an intermediate stage between fuses and RCDs where older trip switches called Mini Circuit Breakers (MCBs), these were of white plastic and slotted into an existing fuse-board. They have two red or coloured buttons on the face of each. There will be a switch for each circuit but not necessarily for the whole system. These are still much safer than fuses, but the wiring may still need some work to bring it up to spec, depending on what you intend to do with the house and the regulations that apply. Very old wiring was laid out ‘radially’ with individual wires fanning out in every direction to each socket. This is generally obsolete now and cables are usually laid in ‘ring circuits’, where each socket is attached in series along a cable doubled back on itself to the consumer unit. This effectively doubles the capacity of the cables. Two sets of cables should be visible entering and exiting every socket unless it is a fused spur (a single cable coming from the ringmain), for instance for an appliance like a fridge. These need to be on spurs to isolate the appliance without switching off the entire ringmain! Typical 2 – 3 bed houses normally have one ringmain for each floor and one for the kitchen, on 2.5mm core cables. The lighting circuit(s) will be separate and typically on 1.5mm cores, one for each floor. High-demand appliances like electric ovens and showers should be on a single 6mm core cable. There may be unusual circumstances that warrant the use of a radial system but it’s not typical these days. Modern wiring should also have flush-fitting wall-sockets mounted on a metal back-box chased (cut back) into the wall. Anything on a large plastic box which stands out from the wall is almost certainly obsolete and in need of replacement. Fluffy Bunny (in the photo) has also appeared on Harry Enfield.